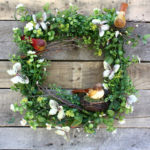 Summer wreaths mean making the most of the warmer days and celebrating the past times you love like baseball! You might be well aware what extent the love for baseball can go, especially if you love the sport of baseball at your home. As the baseball season is here, you are probably looking for a way to show your support for your favorite team. 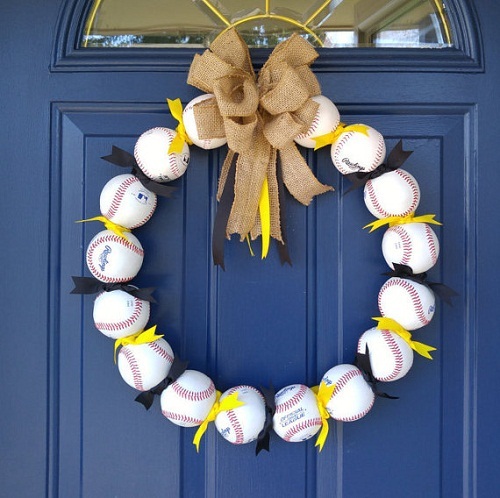 Well, we’re here with a fantastic baseball decorations wreath idea! 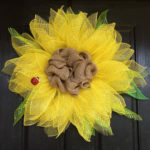 You may think that why to add more baseball summer wreaths when your home is already filled with baseball decorations and tons of baseballs are strewn around the house. Well, trust us it won’t hurt adding another one to celebrate the season. 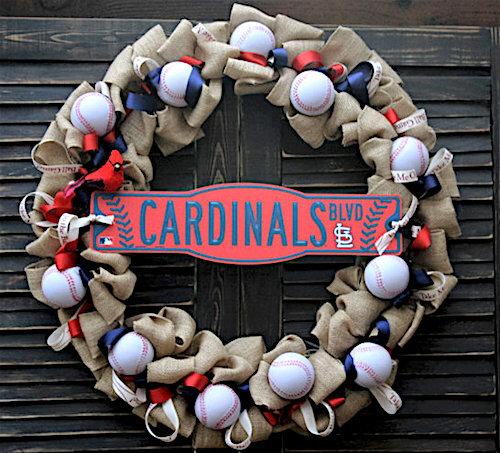 Plus, a festive baseball wreath decorated with the colors of your favorite team is the perfect way to display your team pride! Show your team pride in an artistic way! 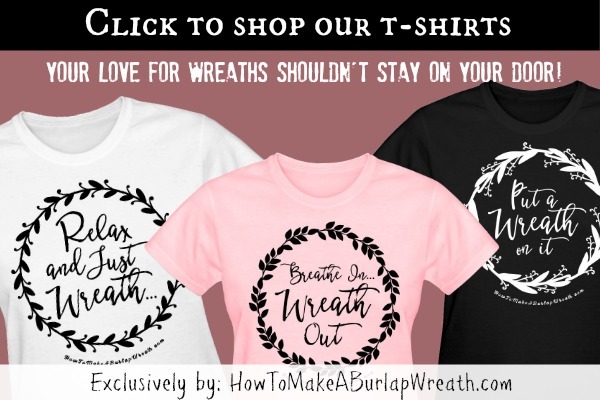 Image via: Etsy – Summer Wreaths – Toasty Barker Boutique..
*Burlap wreath version: If you’d prefer to make the burlap wreath version of the baseball wreath. 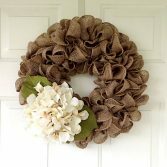 Follow this burlap wreath tutorial and then attach baseballs. Drill holes in the middle of the baseballs. A couple of baseballs might be squandered in the process but the sacrifice will at least yield something good! However, using recreational baseballs will make your job easier as their center is made of cork and rubber. 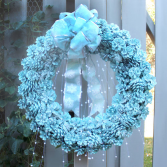 Clip off the inside ring of the wire wreath form and cut an opening using the wire cutters. Now, pass it through the hole of the baseballs one by one. The wreath can be quite heavy. So, in order to keep the baseballs together you can shoot down strong glue in the holes of the ball before passing them through the wire. Keep threading the balls until the entire wire is covered. Attach the last balls of both the open ends with glue. Set aside the wreath aside for 12-24 hours to let the balls set. 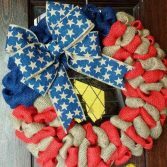 Create a nice bow with the ribbons and glue it to the upper part of the wreath. This Magic Brush Inc post shows you how easy it is to drill holes into the balls. 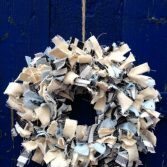 However, if you don’t want to do the drill work, follow the video tutorial and glue paper cutouts or foam baseballs to the wreath instead of real ones. Such baseball decorations wreaths will be a perfect prop if you are thinking of throwing a baseball-themed party this summer. 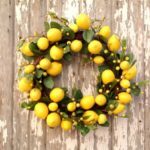 Make a couple of these summer wreaths for the party, and they can later be used as the proud display of your love for baseball till the end of the season. 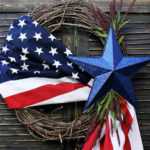 For more summer wreath ideas why not try our patriotic wreath tutorials?